With winter on its way, there is no better time to invest in Triple Glazing. What are Triple Glazed Windows and what are the advantages for homeowners? uPVC Triple Glazed Windows: what are they? Triple Glazed Windows are windows that possess three panes of glass. Having an additional pane of glass increases energy efficiency and reduces noise. uPVC Triple Glazed Windows: what are the benefits? Triple Glazing helps conserve energy: As a result of their optimised energy efficiency, uPVC Triple Glazed Windows are able to maximise cost savings. Moreover, they increase the level of solar heat, which means they capture and draw warmth into your house from the sunlight. Triple glazed windows have a low U-value: U-values measure the effectiveness of a material as an insulator in buildings). This means triple glazing has thermal insulation properties that are incomparable. Therefore, they can keep the heat inside the home during the day as well as night. Triple Glazing provides brilliant thermal acoustic performance: This reduces noise or sound pollution from the outside. uPVC Triple Glazed Windows: what is uPVC? 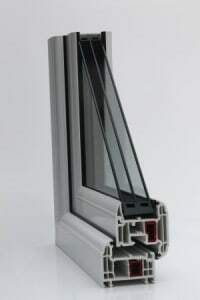 uPVC is an abbreviated version of unplasticised polyvinyl chloride, which is a rigid, chemically resistant form of PVC used in things like window frames. Energy efficient: With uPVC windows, you are ensured your home will remain fresh during the summer and warm in winter. This happens as uPVC has better insulation properties than wood or aluminium. Your home remains cool during the summer months because uPVC reflects the sun’s rays. This, in turn, helps conserve energy, which saves money. Typically, uPVC windows are a lot cheaper than those made out of aluminium or wood. Minimal Maintenance: Unlike aluminium and wood frames, uPVC frames are super easy to upkeep. Since they’re made from plastic, they cannot be damaged by the elements of weather. They are also simple to wash down. Safe to Use: Because of their durability and firmness, uPVC products can compete with aluminium and wood when it comes to security. The Advanced Group use of a multi-point locking system on all their uPVC windows and doors as standard. For the very best uPVC Triple Glazed Windows, choose the Advanced Group as they provide the latest in the glazing technology. They have a lengthy and successful history of installing Triple Glazing. So, get ready for winter. Call a member of the team or fill out the form on this page today.